Scientists discovered that the heart thinks, learns wisdom, and contains neurological centers that save data. 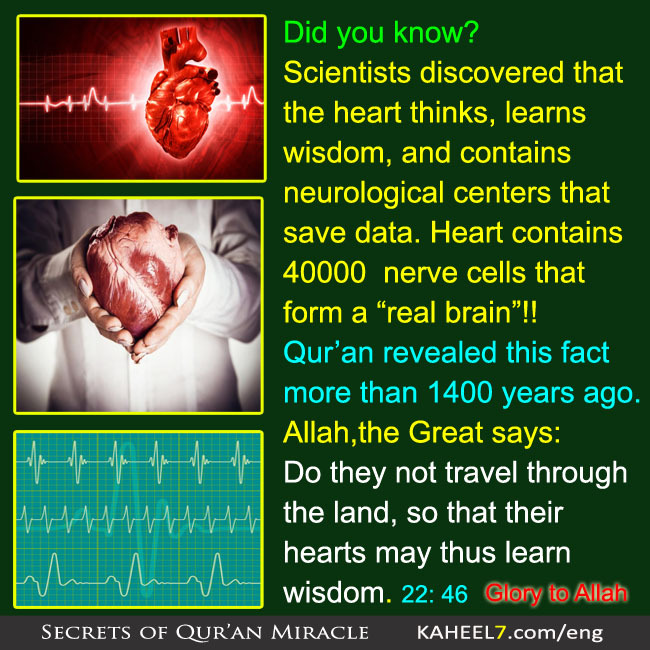 Heart contains 40000 nerve cells that form a “real brain”!! Qur’an revealed this fact more than 1400 ‎years ago.